(Okayama, 03 December) Research led by Okayama University Graduate School of Medicine identifies the signalling pathway for hepatitis B virus recognition and suppression, suggesting a possible anti-viral strategy for the disease. Recent work showed that a DNA sensing molecule - cyclic GMP-AMP synthetase (cGAS) - recognises DNA and can trigger an immune response through the adaptor protein, STING. 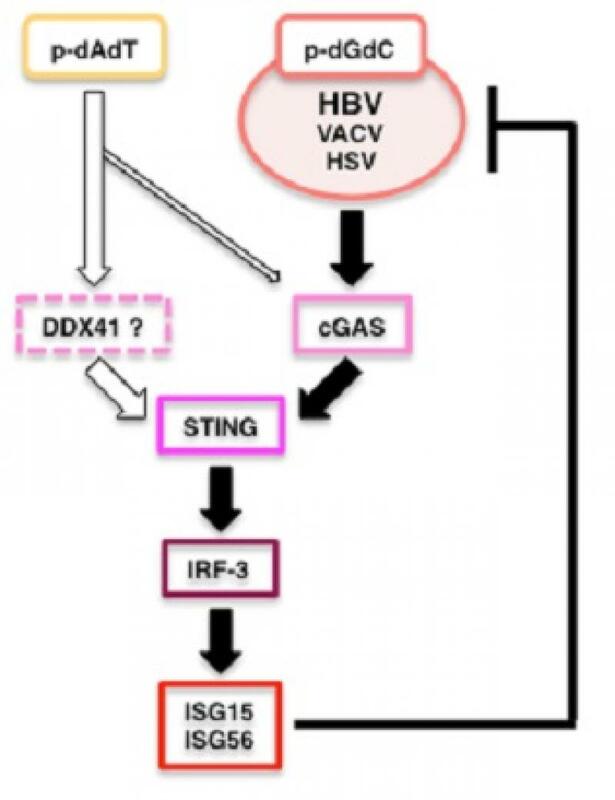 This ‘cGAS-STING’ signalling pathway was found to be fundamental to the recognition of several other viruses including herpes simplex virus type 1 (HSV-1), vaccinia virus (VACV), and human immunodeficiency virus (HIV), but its role in HBV recognition was still unconfirmed.